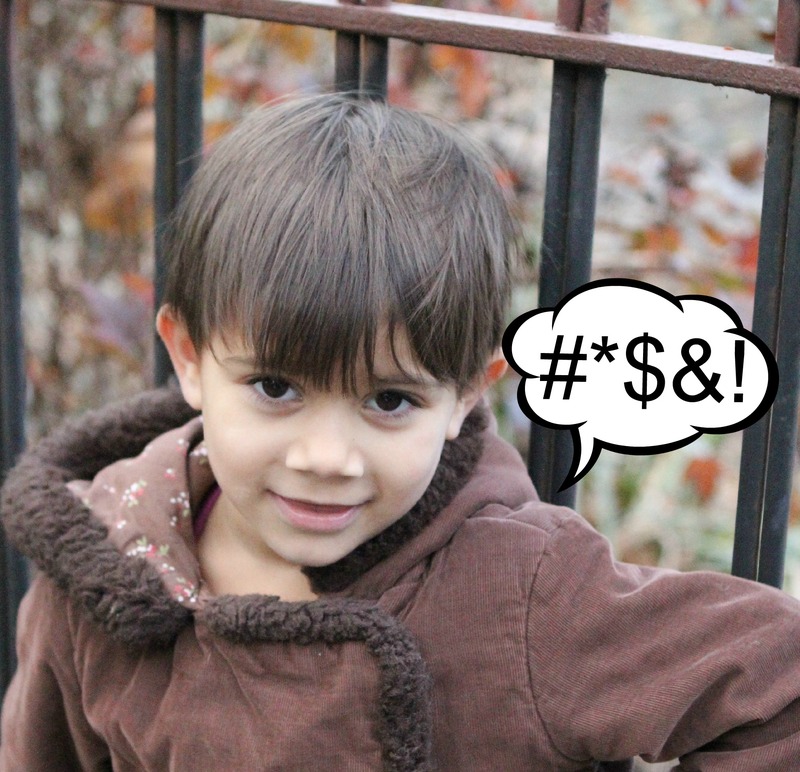 This post could step on some toes, but I’m just going to say it – I don’t like foul language. As in, I don’t use it. I think it has a lot to do with what I discussed in my post Dignity. Sheesh, I didn’t realize I was such a potty mouth. When I was growing up the “Sh” word meant “shut up” and the “F” word was “fart.” And I’ve kept it that way in my own home, although fart has moved into the “acceptable” language realm. Just don’t say it around my mother. The word stupid gets brought to the table quite often. Is stupid a bad word? Well, not technically, but like guns, it all depends on how you use it. Occasionally, “stupid” gets back on the list of words they can say but it rarely lasts five minutes before somebody done called somebody stupid and, just like that, “stupid” is once again off the table and back on the list of bad words. English is a second language for all four of my children, so the discussion of what words are “bad” happens a lot around here. Of course I don’t use “bad language” at home but they still hear it in school and on TV so they are often confused about what is and is not appropriate to say. The other day my thirteen year old and ten year old were discussing the word “dammit” and if it was a “bad word” or not. I explained the origin and clearly emphasized that it was on the “bad” list. Let’s fast forward to the next day while I am standing with the five year olds and their moms outside of school waiting to go into Pre-K. You know where this is going… My little P decides to hop across the center walk way and very loudly proclaim, “DAMMIT!” for no reason at all. The fact is, I was more concerned with what others would think of me as a mother than why my little one said that. Sigh. PS: She was, of course, immediately corrected and set back on the straight and narrow. ← Decisions…Decisions. I Need Advice. I admire your purity of word. I’m like a sailor in a Scorsese film whose character is perpetually dropping a bowling ball on her toe. We say that about a lot of things. Others may dress that way, others may play those video games, others may talk like that, we that does not mean we have to. It is a good lesson to learn in life. When I was a children’s librarian holding weekly storytimes, I cleaned up my language. I know lots of substitutes that won’t offend anyone now (Oh fiddlesticks, drats, etc.). This is great. I am well known by all of my friends and coworkers as not swearing. The nice part is that most people once they realize it, clean up their language around me. I appreciate the effort. I was always told that swearing is what you do when you don’t have anything intelligent to say. I never wanted to feel like I wasn’t intelligent, so I didn’t swear. There are some of those “borderline words” that sometimes sneak out, but they are still pretty rare. It always amazes and shocks people when I give a direct quote with a swear in it. Makes me giggle a little bit! My 13 yr old daughter and I were having a similar conversation today. Thank you! I guess the way my mind works is that I just put down everything that is on my mind not worrying about if it is good or not. I just get it all out. Once that is done I edit, edit, edit, edit… I read what I’ve written over and over again until it becomes what I want it to be. Sometimes that is quick and easy and sometimes it could take a couple hours for a short post. I find most of my creativity comes in my editing process. I hope that helps. Thanks for asking.